When packing for an outdoor excursion, it’s difficult to find room for a cast iron grill. Even carrying a skillet can add unwanted pounds, not to mention that annoying thunk on your back as you walk. A new concept in campfire cookery by an Israeli design student helps you shed some backpack weight. 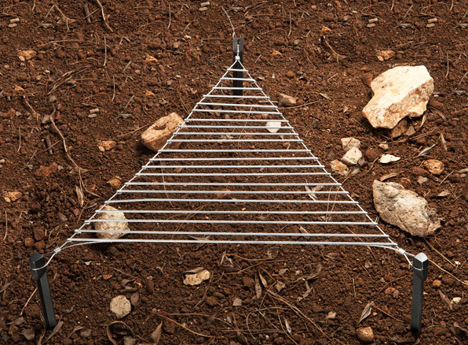 Roee Magdassi created Stakes as a student at Bezalel Academy of Arts and Design in Jerusalem. It’s an ultra-portable roll-up grill that uses braided wire instead solid metal. 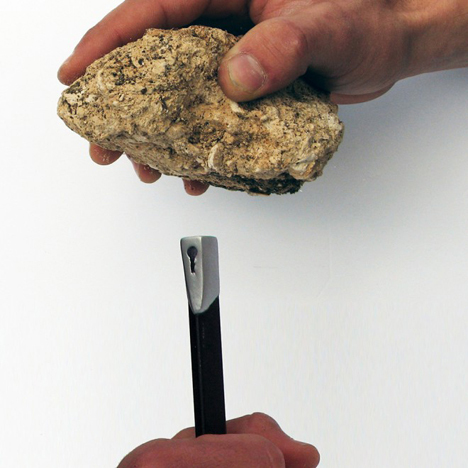 When constructed, it forms a 13″ x 10″ triangle that attaches to titanium stakes. And the best part of the setup is that there are no tools required; the stakes are simply hammered into place with a rock. When packed away, it weighs barely more than a pound. Magdassi formulated the idea from his experience in the military, where one is expected to carry a heavy load for long periods of time. 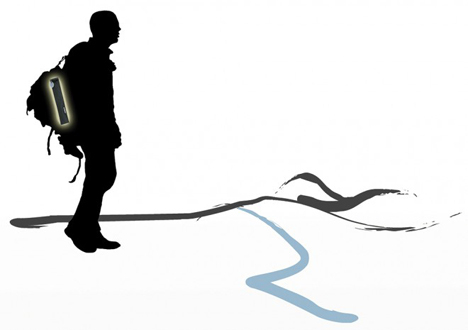 “During my military service I experienced walking long trails while carrying heavy loads,” he told Wired. “Therefore, I understood the importance of designing light weight equipment.” You can now add camping enjoyment to the long list the military gives back to the world.